GC mold is high pressure die casting company in China, With 21 die casting machine cells ranging from 400 to 1250 tons of locking force with full automation capability, we can typically produce die castings to 13 pounds (5.9 kilograms) and 120 square inches (775 square centimeters) projected area. We cast 360, 383, 413, 390 and A380 aluminum die casting alloys from certified ingot. Our in-house spectrometer verifies metal chemistry and is tracked by heat. 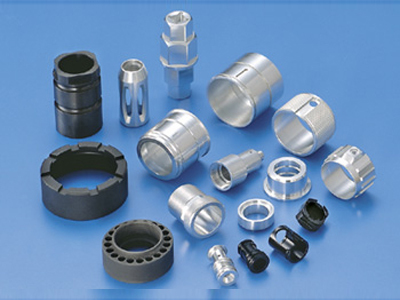 GC is experienced in casting in bearings, liners, and other inserts to improve surface strength and wear resistance. We cast loose pieces in the casting die to provide greater design flexibility. We collaborate with our customers during the design phase of their products. We can receive 2D drawings or 3D CAD files in .dwg, .step, and IGES formats using Mechanical Desktop, Pro Engineer, and Unigraphics software. We provide prototype services that begin with computer simulated 3D model views that proceed into SLA models and other rapid prototyping methods. Prototype castings are furnished in plaster cast, sand cast, investment cast, and soft tool die castings depending upon part complexity, time and budget. Part structural integrity is optimized with finite element analysis. Production tooling design is optimized through fluid flow and thermal solidification analysis. GC Die Casting Corporation is a privately held company serving the automotive, appliance, industrial air compressor, industrial air-conditioning, aerospace, and other markets. With two manufacturing facilities in Dayton, OH and Xenia, OH, GC is located near the Interstate I-75/I-70 Highway corridors, central to one of the largest manufacturing sectors in the U.S. Even with this central location, GC ships castings to Mexico and Canada. GC Hihg pressure Die Casting prides itself as being a financially stable company since 1954 with no debt. The management team is second generation ownership. The quality, engineering, and sales department heads have over 100 years experience in the die casting industry. With process ingenuity to cast larger parts on smaller tonnage machines than its competition with like equipment and a recent facility expansion for larger tonnage machines, GC Die Casting has positioned itself to be a core supplier for a majority of the product applications it has expertise in the industries it serves now and in the future.